It’s tough being the quintessential hipster band of the new millennium. Animal Collective didn’t create this label, of course, but the group of post-twenty-somethings (a.k.a. “thirty-somethings”) certainly asked for it: The lyrics are rambling and frequently silly, the beat is complex and interesting, and — most importantly — the group's members experiment with so many different styles that it’s difficult to label theirs as one type of music. Take Animal Collective’s progression over the years. The group has felt the need to morph itself, from the twitches and yelps of 2004’s high-strung [ITAL]Sung Tongs[ITAL] to the laid-back "wa-was" of the band’s big hit [ITAL]Merriweather Post Pavilion[ITAL]. One would assume, then, that the new album [ITAL]Centipede Hz[ITAL] would keep moving in that direction, perhaps with less focus on the vocals than ever before. With [ITAL]Centipede Hz[ITAL], the band takes two drastic departures from the feel-good albums of its recent past. The first is that the band’s members wrote and recorded this album all together in the same location — a rare treat. And second, perhaps influenced by the previous fact, they break the progression, making an album that sounds more like a synthesis of old and new, a coupling of the concentrated vocals of early albums and the laid-back nature of newer ones. The album’s first song, “Moonjock,” is a perfect example of the album’s entire aesthetic, and is proof that the band’s break from a chill indie style was deliberate. “This is the new,” says a distant radio announcer, and then come some crashes that would make any regular listener of [ITAL]Merriweather Post Pavilion[ITAL] jump. When founding member Avey Tare comes in with his vocals, it becomes apparent that this is still feel-good music — just a little more spastic and crazy than the Collective’s albums since 2007. [ITAL]Centipede Hz[ITAL] should be great. It should take what worked from all their previous albums and modify it to near perfection, expertly balancing lush and brittle. And they nearly make it, but there’s something a little off-putting about most of the songs, especially for those who have followed Animal Collective since its early days: The only new thing about [ITAL]Centipede Hz[ITAL] is that there’s nothing new. On every Collective album up to now, the band has always had something original to offer, a new soundscape for the listener to traverse. [ITAL]Centipede Hz[ITAL] feels like a mash-up of its styles before and after 2007’s [ITAL]Strawberry Jam[ITAL], and that can be a bit disappointing when experiencing the album. Although there’s nothing truly original on this album, that doesn’t mean that it’s not a good listen. 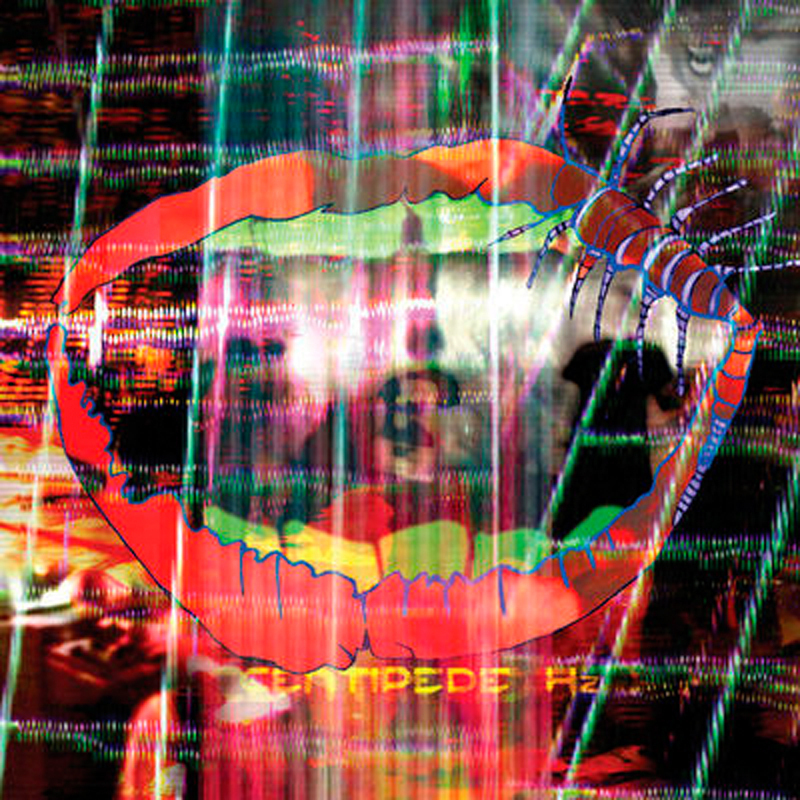 Animal Collective knows by now how to make great album pieces, and in [ITAL]Centipede Hz[ITAL] each song flows into the next flawlessly. “Applesauce” is a bubbly, nonsensical, and thoroughly enjoyable song, and listening to “Wide Eyed” — which has Deakin on vocals, a welcome change from Tare’s howls — elicits a vision of a huge crowd swaying and shouting along. “Today’s Supernatural,” the most advertised song from the album, is certainly the most mainstream-sounding piece, which coming from Animal Collective is a bit strange. But it’s a pretty great song, nonetheless. This album would be a great listen for those who want an introduction to Animal Collective, since — while it’s not exactly indicative of everything the band's done so far — it still showcases what the band is capable of.